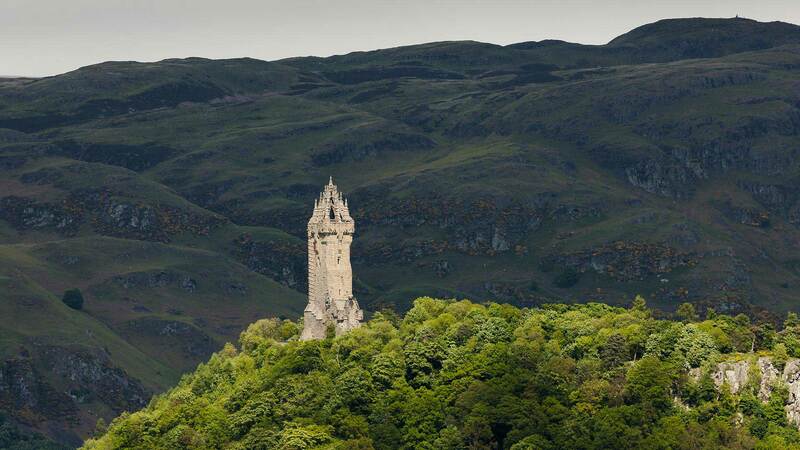 As a land steeped in legends, who better to tell Scotland’s stories than a local? 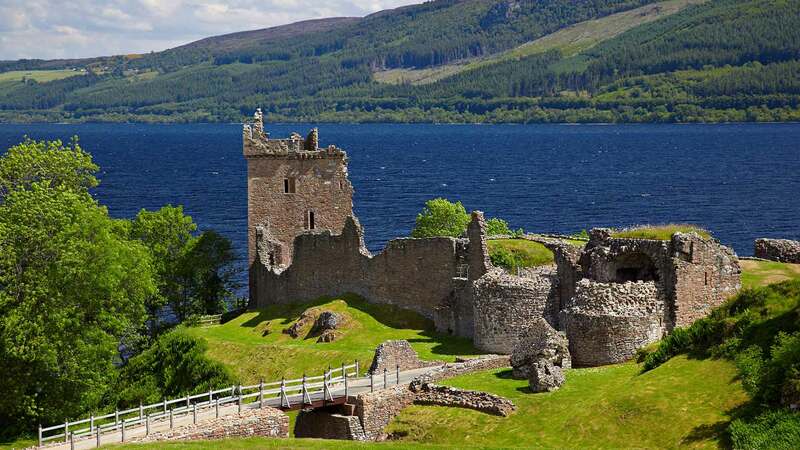 With your very own private driver-guide behind the wheel, you’ll travel to some of the most popular sites in the Highlands, such as the legendary Loch Ness, the medieval Doune Castle and the prehistoric Clava Cairns. To top it off, you’ll enjoy private airport transfers in luxury cars and prime accommodations at each overnight location. 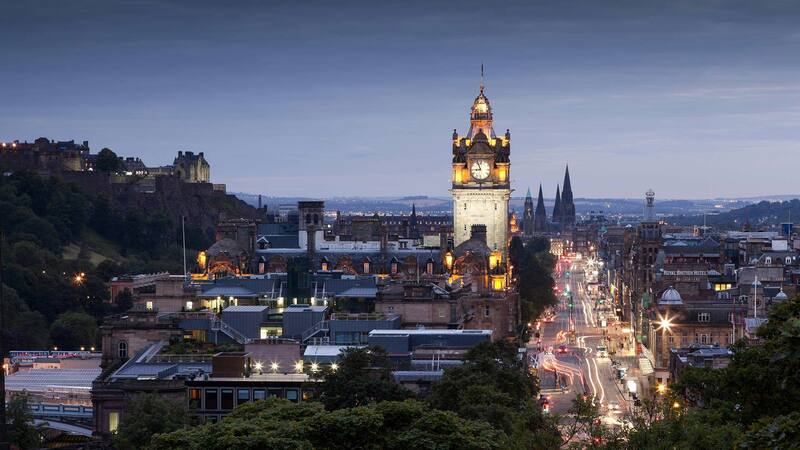 Of course, at some point we recommend leaving the comforts of your room to go out and explore the charms of Edinburgh. Whether it’s history, music, art, architecture or lush gardens you’re after, you’ll find it all within the compact city centre. 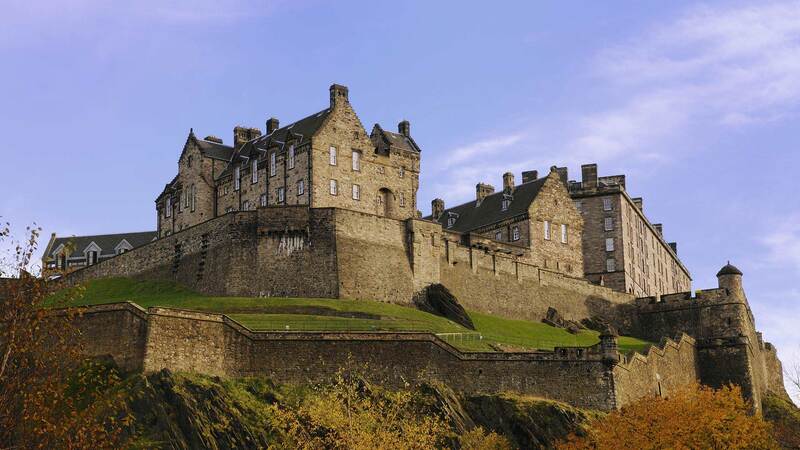 To get a feel for your surroundings we suggest a stroll along the Royal Mile between the Edinburgh Castle and Holyrood Palace or a walk down Princes Street with views towards the Old Town across the Princes Garden. For fine shopping and dining, check out the Multrees Walk by St Andrews Square or the George Street area of the New Town neighbourhood. Enjoy a full breakfast at your hotel before your private guide. A Scottish local comes to pick you up for the start of your journey into the highlands. 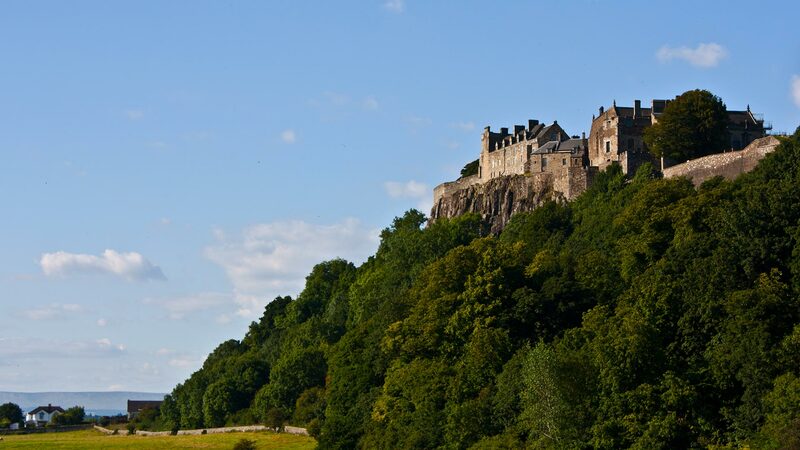 In a comfortable vehicle, you’ll head north, passing through Braveheart Country with views of the Wallace Monument and Stirling Castle. 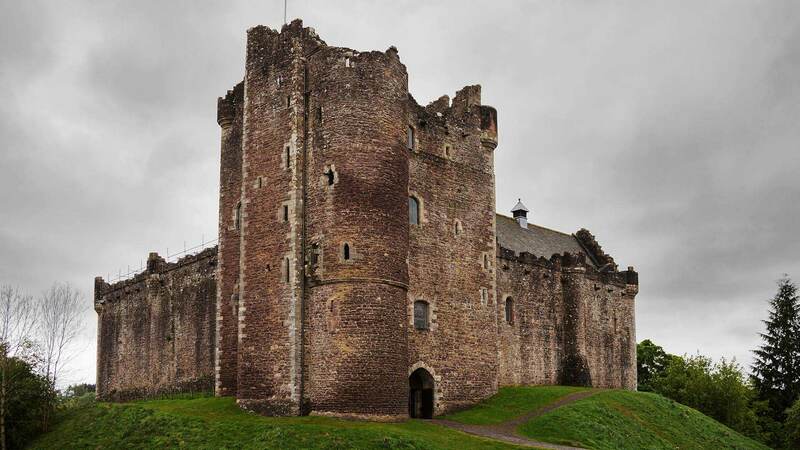 Our first stop will be the Doune Castle, used as “Castle Leoch” in the Outlander TV series, followed by a coffee break in the picturesque town of Callander. 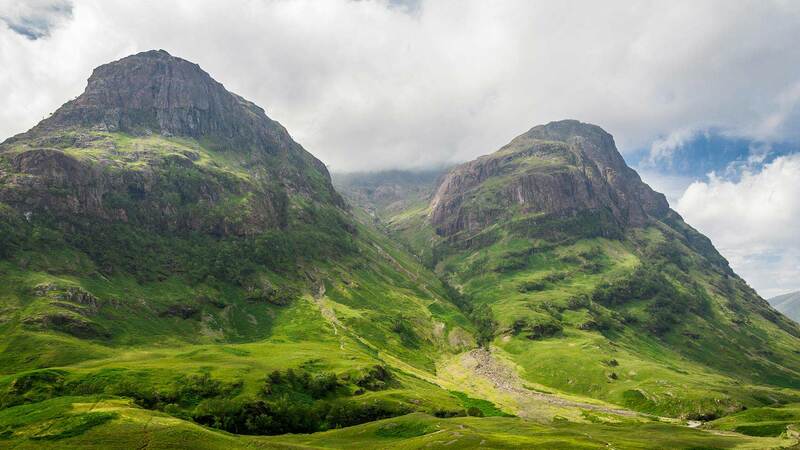 Continuing north to the magnificent Glencoe area, we’ll enjoy a short walk followed by a hearty lunch in a mountain inn. After lunch we travel through Fort William, stopping to wander through the crumbling ruins of Inverlochy Castle and then paying our respects to the gallant commandos at the Spean Bridge memorial. From here we start our journey up the Great Glen, pausing to marvel at the “Well of the Seven Heads” on our way to the legendary Loch Ness. Spend the night in the Loch Ness area. Will we see Nessie? 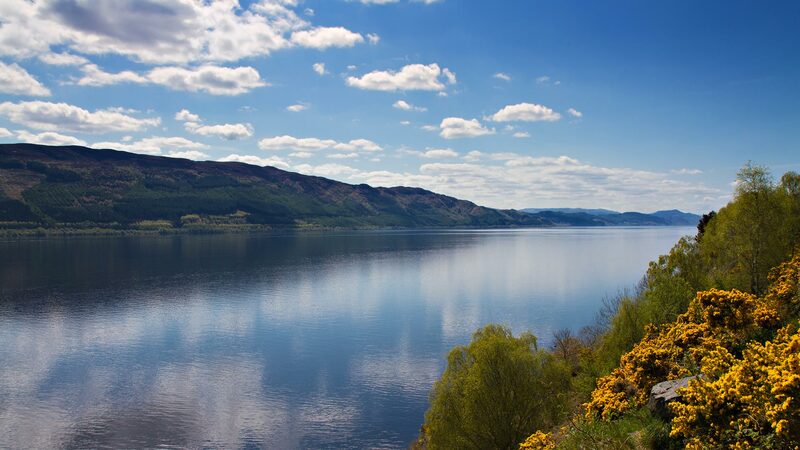 Maybe not, but during our exploration of Loch Ness today (with optional boat tour) it’s certain that we’ll see some jaw-dropping scenery and possibly visit the haunting Urquart Castle on the banks of the Loch. Next we’ll visit a different kind of legendary site—the Battlefield of Culloden Moor, where the last battle of British soil occurred in 1746, an event that changed the Highland way of life. From more recent history to ancient, we’ll then head down to the eerie Clava Cairns, a series of tombs and standing stones that pre-date Stonehenge by 1000 years. Further ahead we’ll travel through the Cairngorms National Park, visit the Ruthven Barracks and stroll through the Highland Folk Museum open-air village in Newtonmore—another Outlander film location. Finally, at the Hermitage we’ll enjoy a coffee break and walk through the tall trees to view spectacular waterfalls. By the late afternoon we’ll arrive back in Edinburgh and you’ll be dropped off at your hotel. The rest of the evening is at your leisure. We thoroughly appreciated and enjoyed our guide's knowledge and expertise. Brian was extremely informative, patient, and entertaining. He was very considerate of the fact that we were 2 active but older women. He was also very kind to other travellers who realized he was a guide and would stop him to ask advice. Although this was to be my only trip to Scotland, thanks to his influence and fascinating instruction on the Highlands and Highlanders, I know I need to see more. I would let Nordic Visitor give more advice on the tour must sees. We met with the Edinburgh office staff - Maria, Anna, and Kris - after our tour was done, again Brian going above and beyond to bring us to meet them, days after our tour was over. I cannot say enough good things about all the help they gave us. Guide was Brian - he is fantastic!!! So knowledgeable, passionate about Scotland. We had such a great time and learned so much about Scotland. Easy schedule. Just a fabulous experience.